poolife® Stain Stop provides protection against scale, stains and rust caused by minerals in the water such as iron, copper, nickel, manganese, silicon and zinc. Effective at controlling stains after the use of poolife® Stain Lift. 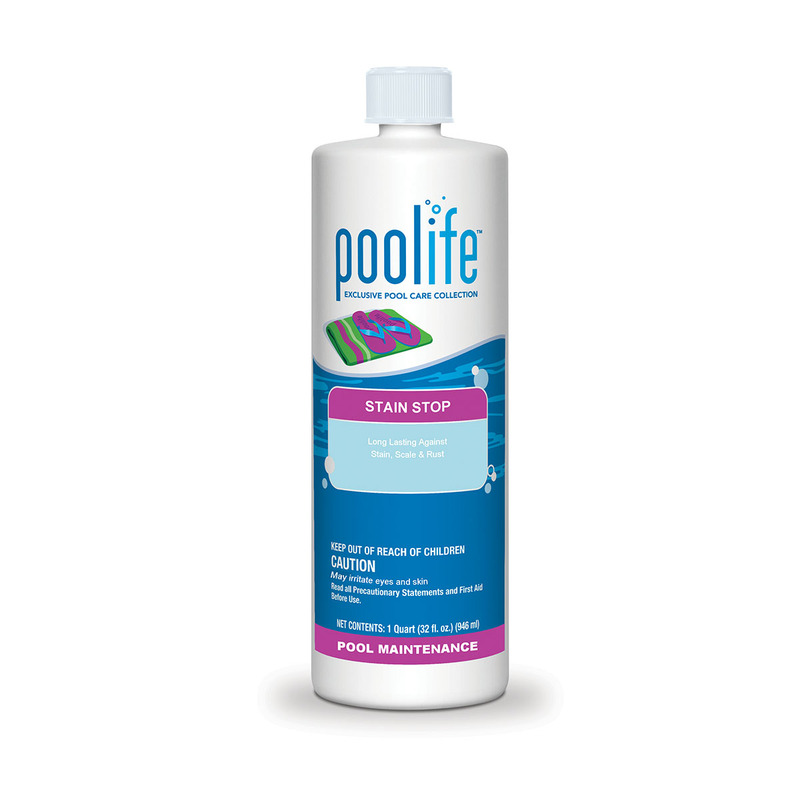 For best results, add the required amount of poolife® Stain Stop at the time you start to fill the pool unless the surface is black plaster, then add it after the pool is full. poolife® pool maintenance products are used to solve special pool care needs. They effectively combat the problems that occur as pool water reacts to various usage and environmental conditions, quickly bringing your pool water back to perfection.